This Classic Clip Point Hunter is built with a CPM-3V steel blade and a Black Canvas Micarta handle. 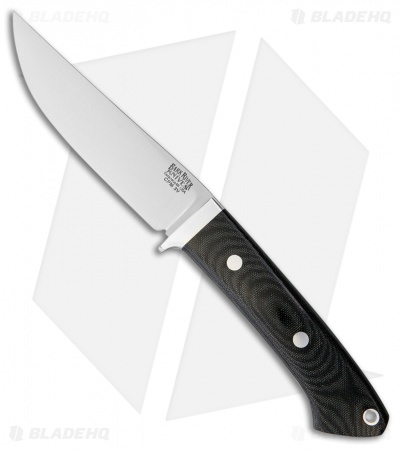 The Bark River Classic Clip Point Hunter shares the same handle design as their Classic Drop Point and Trailing Point Hunter knives. Its clip point blade is longer and sleeker than the drop point with a gentle curve to the cutting edge. Perfect for hunting and bushcrafting tasks alike, the Classic Clip Point Hunter makes a fantastic addition to any outdoor kit. Includes a handcrafted leather belt sheath.